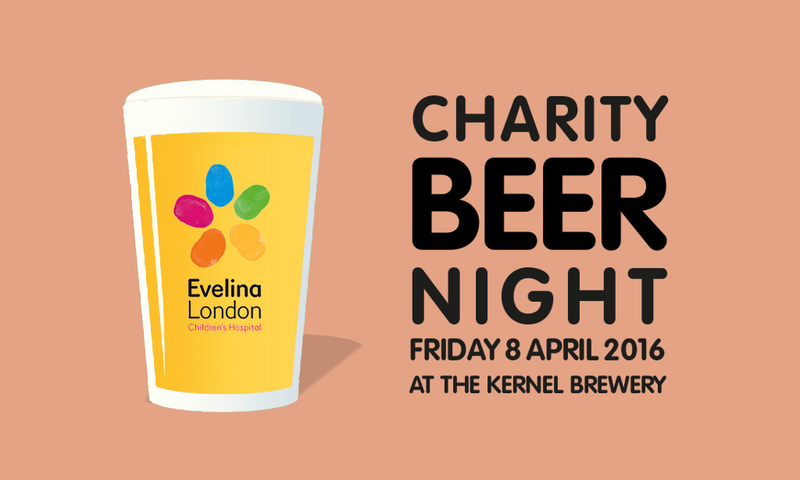 The kegs have been emptied, the cash has been counted and the Charity Beer Night raised £3,700 for Evelina Children’s Hospital! Thanks so much to everyone who came along, thanks to all the breweries who supported the night with beer, thanks to Grill My Cheese for their delicious food and thanks to The Kernel for allowing the event to happen in their brewery. I had a brilliant night and I’m delighted with the money raised – I’m also delighted with the atmosphere on the night and it was one of the most fun beer events I’ve been involved in. It was also great to be behind the bar and pour some beers and be able to talk to people. It was great. Extra thanks need to go to The Alchemist. I emailed the brewery with the crazy request that they might donate a couple of cases of their wonderful beer to the night. I didn’t expect them to say yes but if you don’t ask, you don’t get. Gloriously they did say yes and they sent beer to London. I was going to pay for the shipping of the beer but the brewery requested that instead of giving the money back to them, I donated it to the cause, which is extra generous. About £500 of the total is thanks to them and their beer. Now I just need to run the London marathon. There’s just over a week to go and I can’t wait! I’m still collecting money for Evelina Children’s Hospital – specifically for the intensive care unit. Every extra fiver really helps. You can sponsor me here. 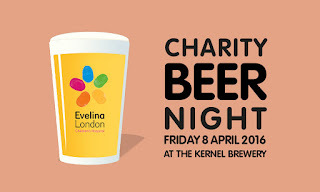 With a week to go before the charity beer event (tickets here), which I’m arranging to make money for Evelina Children’s Hospital as part of my London Marathon fundraising, it’s time to reveal the beer list. All of these have been donated by the breweries and I’ve picked them as some of my favourite things to drink right now, trying to get a balance between beer geeks and good drinking beers for a general crowd. Plus there will be bottles of Duvel and Duvel Tripel Hop 2016 – you can use a token on these to drink in or take out. There are also two other canned beers but these are super limited and not part of the token system that come with tickets - to get these requires an additional donation. Some info on some of these beers... The Cloudwater DIPA is hitting the taps a day ahead of its official release (if you want a hint on the cans then it's a Vermont-brewed beer that Cloudwater is surely inspired by...). The Juice Facilitator is fresh out of the tanks and is going to be juuuicy. And the Pilsner Urquell has been sent as fresh as possible from the brewery so it’ll be just a few days old when we drink it. And what’s The Starting Line Breakfast Porter? I brewed a beer with UBrew for the festival and I based the recipe on the breakfast that I eat before I go for a long run: a strong coffee, a massive bowl of oat with loads of raisins in it, some honey and a banana (the beer does contain actual bananas). We will have food on the night and Grill My Cheese are making some amazing grilled cheese sandwiches outside the brewery (these are to be paid for on the night and aren’t included in the ticket). 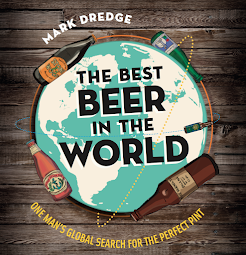 And it’ll be the kind-of launch of Cooking with Beer as I’ll have copies available for people to buy on the night – bring cash (£15 a copy!). The event runs from 5pm-10pm. It’s strictly ticket only and numbers are limited. There are still some tickets available and you can buy them here. A ticket to the festival costs £20, all of which goes to the charity. For your money you get five beers – most will be 2/3rd pint, with those above 8% ABV poured shorter (1/3-1/2 pint). The beer list may change in the next week but that’s the core of it. I’m really excited by those beers and I hope others are as well. I hope to see you there! And if you want to support the charity and my marathon fundraising (here’s why it’s for Evelina Children’s Hospital), then here’s my general fundraising page.